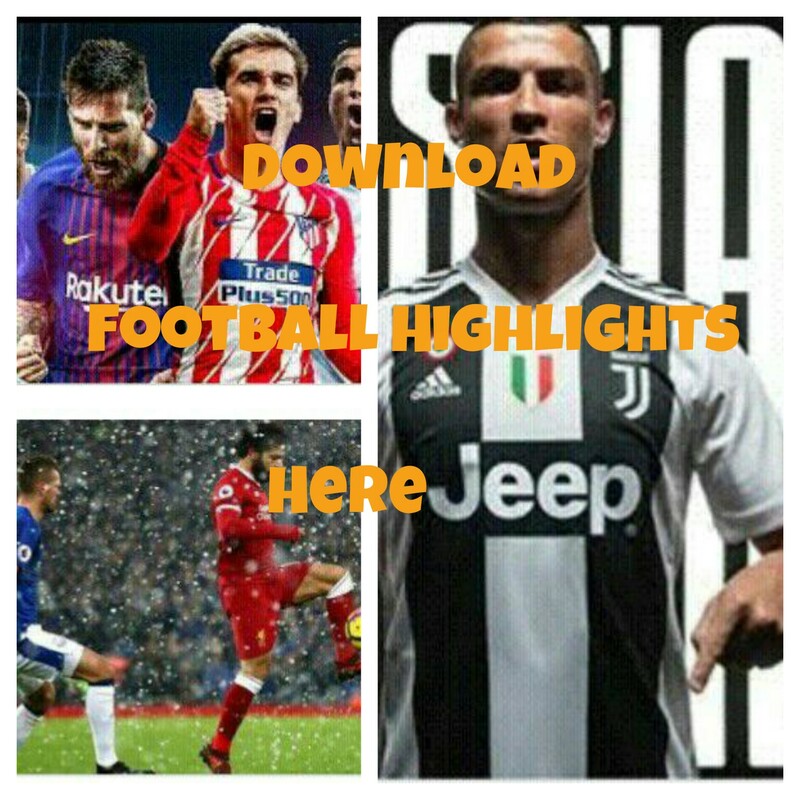 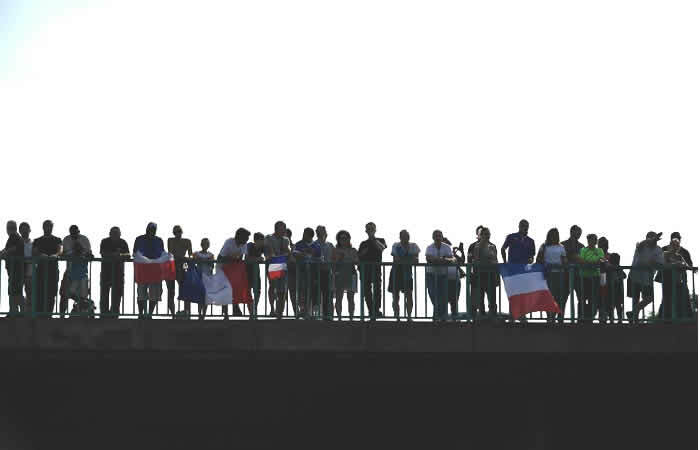 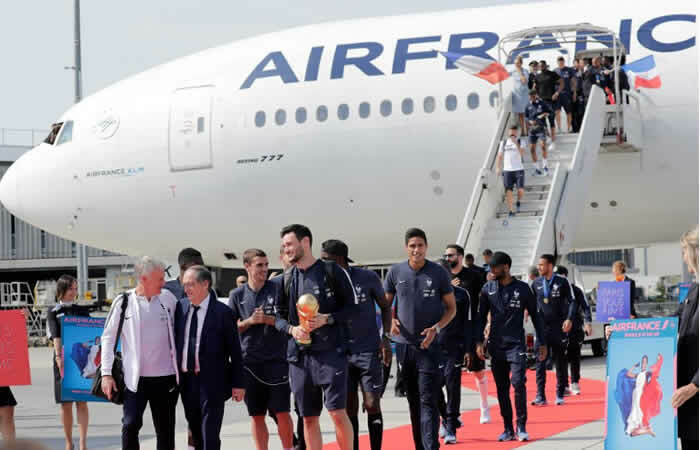 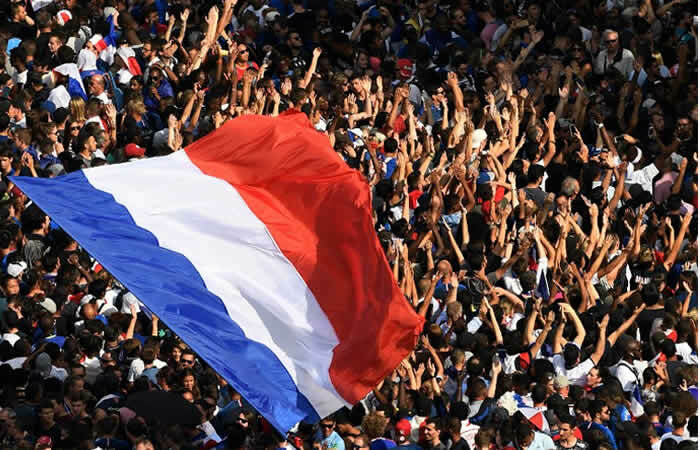 France’s World Cup winners arrived back home on Monday at the main airport near Paris, greeted by cheering crowds and a guard of honour from the fire brigade which sprayed water over their plane. 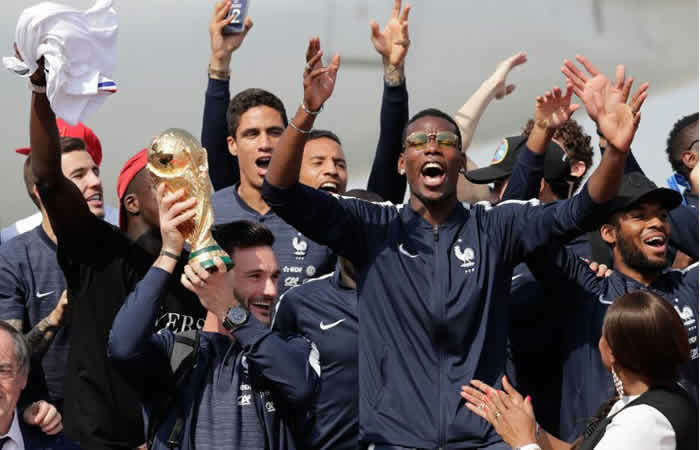 From L: France’s defender Djibril Sidibe, France’s midfielder Steven N’Zonzi and France’s forward Florian Thauvin celebrate after disembarking from the plane upon their arrival at the Roissy-Charles de Gaulle airport on the outskirts of Paris, on Monday. 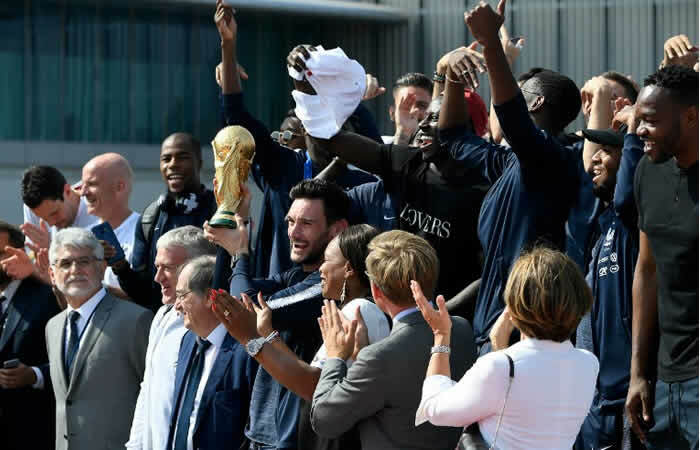 France’s goalkeeper Hugo Lloris (2nd L) holds the trophy as he disembarks from the plane next to France’s coach Didier Deschamps (L), French Football Federation president Noel Le Graet (2nd R) and French Sports Minister Laura Flessel (R).